In indoor competition, anything from futsal, to volleyball or basketball; if you need to repeatedly perform quick changes of direction, having good grip on your shoes is incredibly important. You can’t play a great game of any of these sports if you’re sliding about as if you’re on an ice rink. You need to get more traction on your shoes. Any decent manufacturer will have made sure the shoe had a good level of grip when it was fresh out of the box (if it didn’t then there’s an instant problem – read no further, go and buy a new pair). The problem is, over time, or with the wrong care, your shoes can lose their traction. Here’s how to stop that happening. 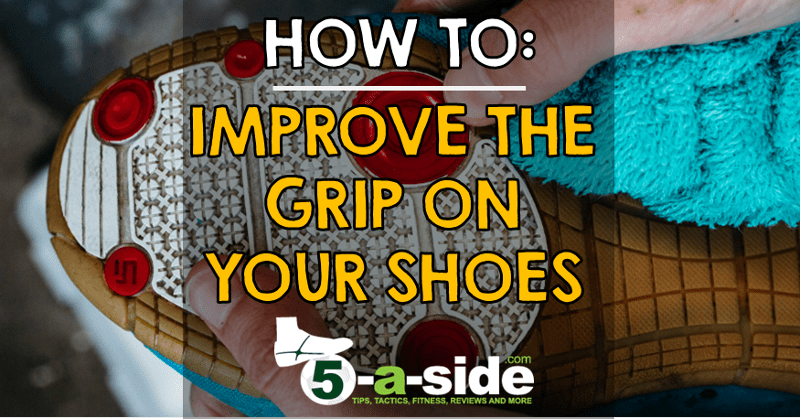 It may be that your shoes have worn down and the grip has gone, but before you chuck them in the bin, consider whether they just need a good clean. Whoever manages the venue should be cleaning the court thoroughly, but where the facility gets a lot of usage, you can find it in bad shape when you come to use it. Other than trying to persuade them to clean it before you use it, or even cleaning it yourself, there’s not much you can do about the situation – all you can do is make sure your shoes are in top condition to get as much traction as you can. Materials needed: warm water, dish soap (just normal washing-up liquid will do), a precise implement (e.g. scissors, or a mini screwdriver), toothbrush / nailbrush, clean towel. 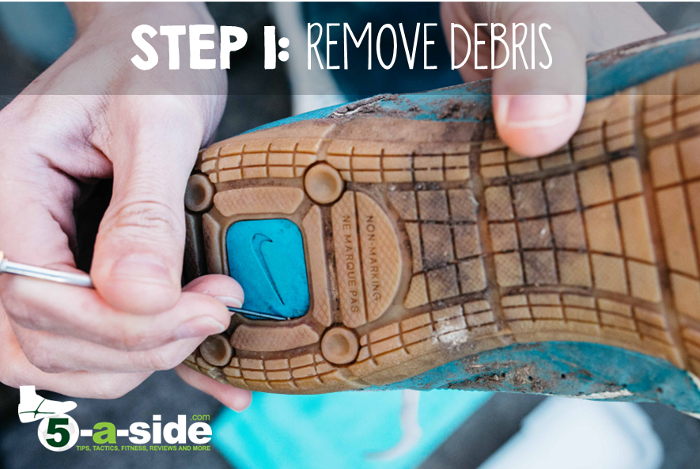 STEP 1 – Remove any debris from the tread of your shoes. That includes any small stones, clumps of mud, or anything else that has found its way into the gaps in your sole. Any strong pointy instrument will help, but don’t stab yourself in the process. 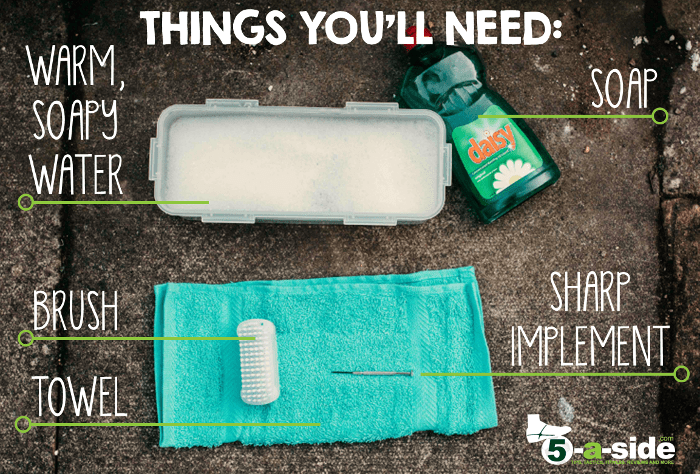 STEP 2 – Fill a container with of warm soapy water – normal dish soap will be fine. Use this water to wash the sole of your shoe, but don’t go sticking the whole shoe in the water – try to keep the upper as dry as possible. Use a nail brush (or tooth brush, but it will take twice the time) to scrub thoroughly over all areas of the sole, including around the sides of the sole. Scrub in nice circular movements so you’re getting all the angles covered. Keep rinsing the brush as you go. STEP 3 – Take a clean towel (or other clean, absorbent rag) and dry each area shortly after washing. You might want to wipe regularly if there’s lots of water getting onto the upper of the shoe. 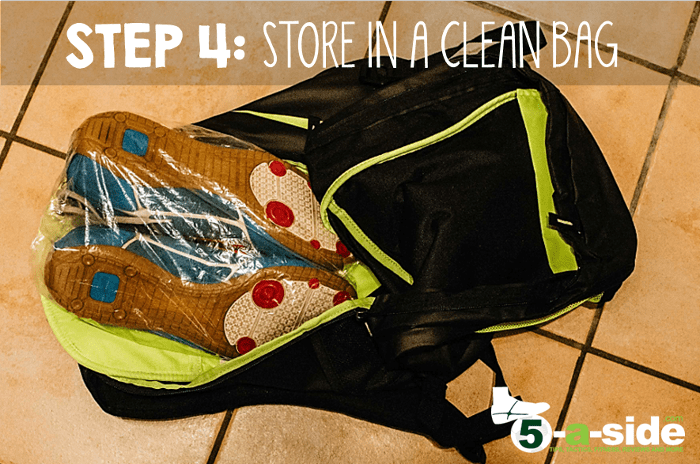 STEP 4 – Store them in a clean bag, ready for next time you play. There’s no point going to the effort of cleaning them if you’re just putting them in dusty, dirty bag and undoing all your good work. Don’t wear your shoes outside – If the court is lacking traction because of the dust and dirt, you don’t want to be bringing any of that in with you stuck to your shoes or you’re just skidding around as one layer of dirt tries to make contact with another. So, if you’re serious about keeping your grip, don’t even think about putting these shoes on until you get to the court (not even as you walk from your car). Clean them after each game – even if you only ever wear your shoes on the court, they will still pick up a fair amount of dust and dirt from that. Regular cleaning is the only way to get them back like new. Lick – so you’re not going to be popular from a hygiene perspective, but people do it. Lick your hand and then use this to moisten the bottom of your shoe. Cleaning and moistening it like this will give you a little extra grip and you can do it at any point in the game where you get a second. Spit – similar to the lick approach, but possibly even more hygienically unacceptable. A small amount of spittle on the court floor, rubbed in against the sole of your shoe will give a temporary improvement in grip. It’s not the most pleasant sight to look at though. 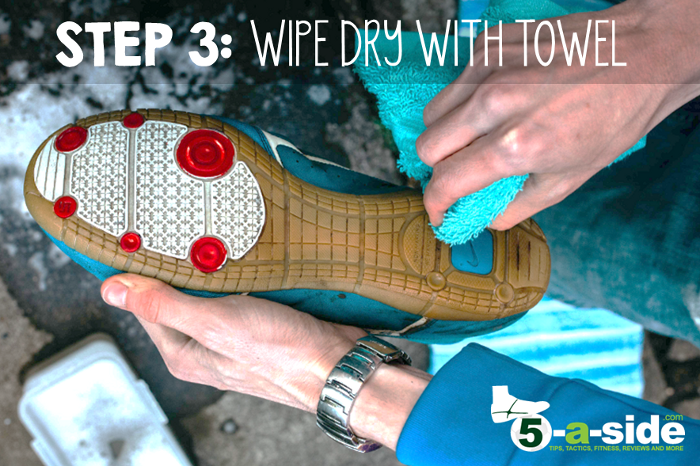 Towel – a moist, clean towel will help clean the sole of your shoe and improve your grip. Keep it by the side of the court. It’s a lot more hygienic than licking and spitting. You’ll be surprised at the amount of dirt that it picks up. Sticky-mat – You can buy specifically manufactured sticky-mats that will remove the dirt and help improve the grip on your shoes. You keep this mat by the side of the court and simply step onto it when the time allows to remove the dirt and dust and refresh your traction. Most of these products are only available in the US. Hairspray – actually, it’s a myth that putting hairspray on your shoes improves grip, and we know it because we’ve tried it. Hairspray is sticky and will give you a very temporary boost in grip, but only for a few seconds. Instead, the stickiness will just attract dirt and dust to the sole of your shoe which will reduce your traction. It’s the cleanliness, not the stickiness that gives a shoe its grip. Replace – you’ve done the above, but there’s still no improvement. Time to investigate getting a new pair of shoes. If traction is really important to you, make sure that you see the shoe before buying it, instead of ordering it off the internet. That way you can be sure, just from touching it, that it’s going to have the performance you need. Send them our way in the comments below. Very thorough article. I’m going to give it a go this weekend as mine could do with a clean. The video is helpful!